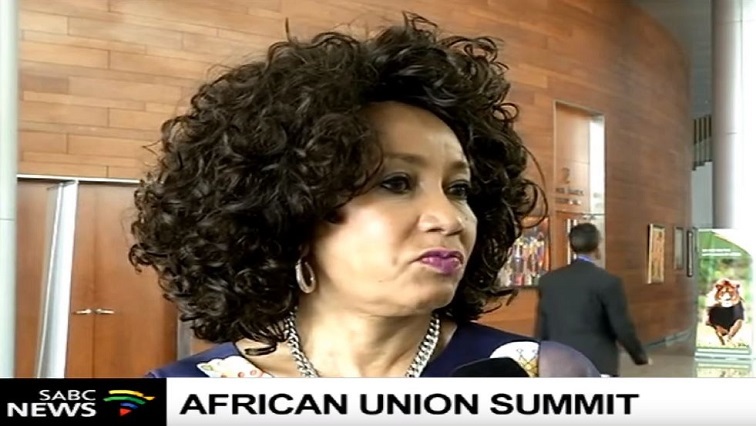 Africa on track to end conflict by 2020: Sisulu - SABC News - Breaking news, special reports, world, business, sport coverage of all South African current events. Africa's news leader. Lindiwe Sisulu says things are definitely better. Africa is on track to meet its own target of ending conflict by 2020, that’s according to South Africa’s International Relations and Cooperation Minister Lindiwe Sisulu. Sisulu says the continent has fewer conflicts now than it did 10 years ago and that African leaders are more involved in seeking solutions to its own problems. Speaking on the sidelines of the African Union Summit, Sisulu also told the SABC that the Southern African Development Community (SADC) had resolved to back the Democratic Republic of Congo’s newly elected President Felix Tshisekedi. She says the regional body respects the ruling of the Constitutional Court, which declared Tshisekedi winner following a petition by second placed Martin Fayulu. Over the last two days the leaders meeting in the Ethiopian capital have deliberated on conflicts in the continent and how best to stop forced displacements. The continent set itself an ambitious target of silencing the guns by 2020 but war and bloodshed is still rampant in South Sudan, DRC, Northern Nigeria, Libya, Central African Republic and parts of the Sahel region. Sisulu however says things are definitely better. On the sidelines of the meeting the leaders also discussed the issue of slavery, past and re-emerging. The African Union’s Development Agency (AUDA – NEPAD) also gave a report on reform agenda – which aims at integrating the continent, through trade and infrastructure. The meeting also discussed ways of funding adaptation to climate change and received a report on the harmonisation of education systems on the continent. Meanwhile, the Democratic Alliance (DA) has welcomed President Ramaphosa’s appointment as chairperson of the African Union for the year 2020. In a statement the DA leader, Mmusi Maimane says the appointment provides South Africa with a leadership opportunity to actively promote democracy and build peace and stability on the continent. He’s calling on President Ramaphosa to prevent the decline of the AU into a protectionist body of Africa’s liberation movements. He says its failure to address the situation in Zimbabwe, is a clear example of this protectionism. This entry was posted on 11 Feb 2019,10:21PM at 10:21 PM and is filed under Africa, News, Homepage Latest Stories Slider. You can follow any responses to this entry through the RSS 2.0 feed. Both comments and pings are currently closed.